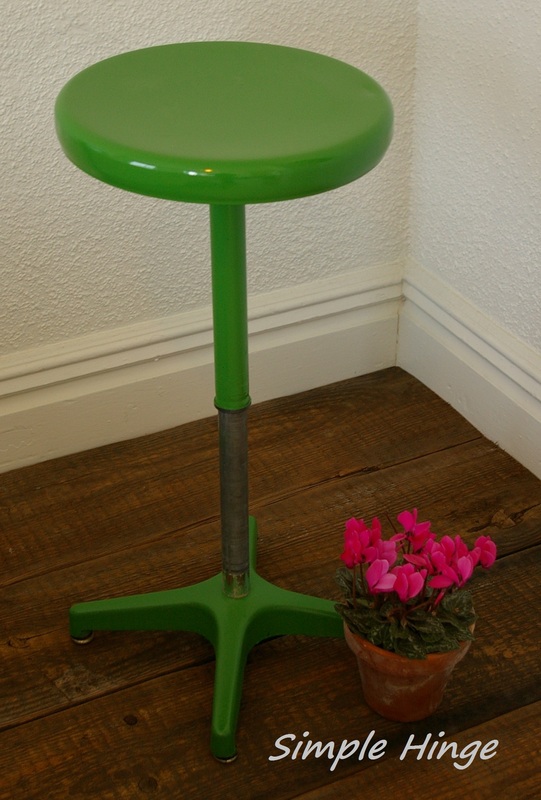 This is a vintage metal lab stool refreshed in a grass green color. It would be perfect as a nightstand, end table or as additional seating and it spins! – Email us at simplehinge@gmail.com if you’re interested.